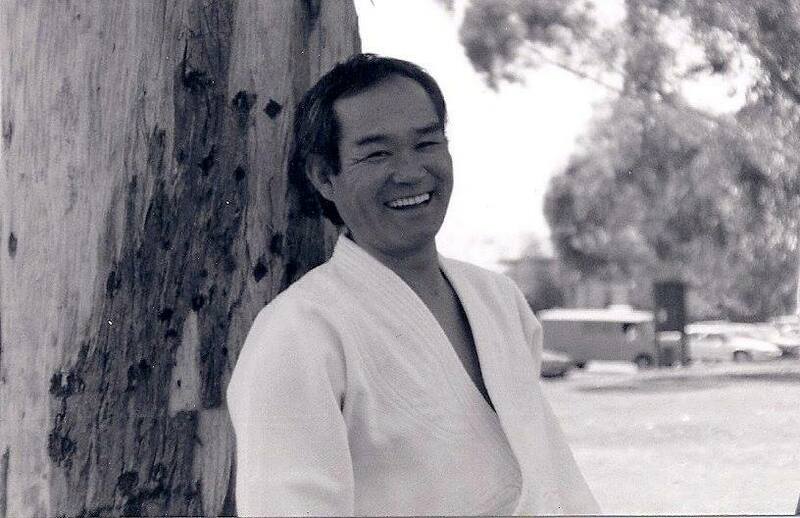 Kazuo Chiba, a pioneering teacher who helped spread the Japanese martial art of Aikido across the world, died June 5, 2015 in San Diego, California. Chiba Sensei, 75, suffered from kidney cancer. He died peacefully at home surrounded by family and students. T.K. 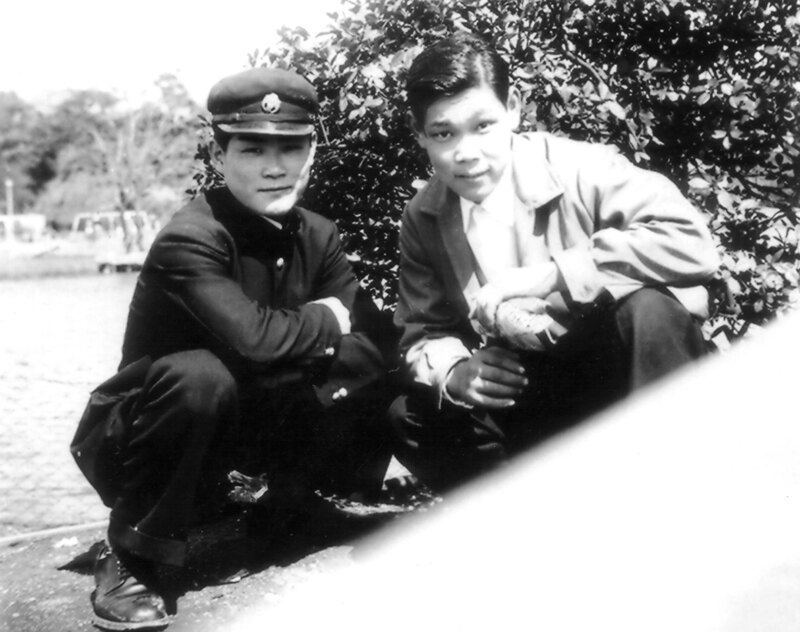 Chiba and M. Kanai in 1954. Born on Feb. 5, 1940, in Tokyo, Japan, Chiba Sensei showed an early interest in martial arts and began serious training in judo and karate in his teens. But he became dissatisfied with both arts and starting seeking a more comprehensive fighting system. “A budo practitioner, I thought, should be able to respond under any circumstances, whether using sword against sword, whatever,” Chiba Sensei said in a 1995 Aikido Journal interview. Chiba Sensei went to Aikido headquarters in Tokyo and pestered O-Sensei and senior students until he was accepted as a live-in trainee, at the age of 18. 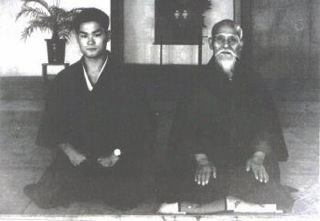 Over the next seven years he practiced Aikido for hours every day and traveled with the founder across Japan to demonstrate and promote the art. In 1960, then a third-degree black belt, Chiba Sensei was dispatched to the city of Nagoya to establish one of the first branch dojos [schools] under the auspices of Aikido headquarters. In 1962, he also began teaching at the Hombu dojo, and within three years had completed his training and earned promotion to fifth-degree black belt. 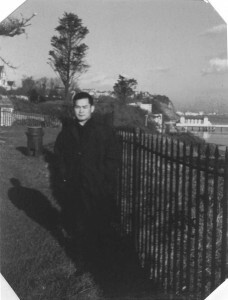 Chiba Sensei in 1967 in Cardiff, Wales. still actively hostile to the Japanese. “I did not appreciate the food served by my host family – the usual fare being meat and vegetables boiled to mash, except on Fridays when we were served fried fish with salt and vinegar. I could not stop dreaming of soy sauce,” Chiba Sensei wrote in a memoir published in the Birankai Aikido journal. Culture shock and the political complexities of Britain’s martial arts world made his first years abroad very difficult. After that bumpy start, he established a successful dojo in London and also traveled extensively to teach in Europe, helping to promote Aikido in Belgium, France, Greece, Ireland, Italy, Holland, Morocco, Spain and Switzerland. In 1970 he was promoted to sixth-degree black belt and awarded the title of shihan, or master instructor. In 1975, Chiba Sensei returned to Japan to serve as secretary of the international department at the Aikikai Hombu Dojo. At that time he also began studying Iaido – the art of drawing and cutting with the Japanese sword – with Takeshi Mitsuzuka, a disciple of legendary swordsman Hakudo Nakayama. He also intensified his study of Zen Buddhism and Misogi-no-kokyu-ho, a Shinto practice of purification through breathing. 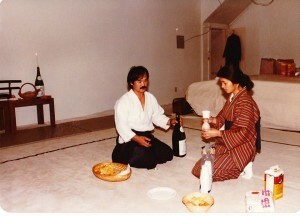 Chiba Sensei and Mrs. Chiba in San Diego, 1981. At the invitation of the United States Aikido Federation, Chiba Sensei and his family moved to San Diego in 1981 and established the San Diego Aikikai dojo. Thousands of Aikido practitioners from around the world came to study with Chiba Sensei in California and take part in live-in trainee and other teacher-preparation programs. He also established the Birankai Aikido organization, with dozens of affiliated dojos in the U.S., the U.K. and Europe. 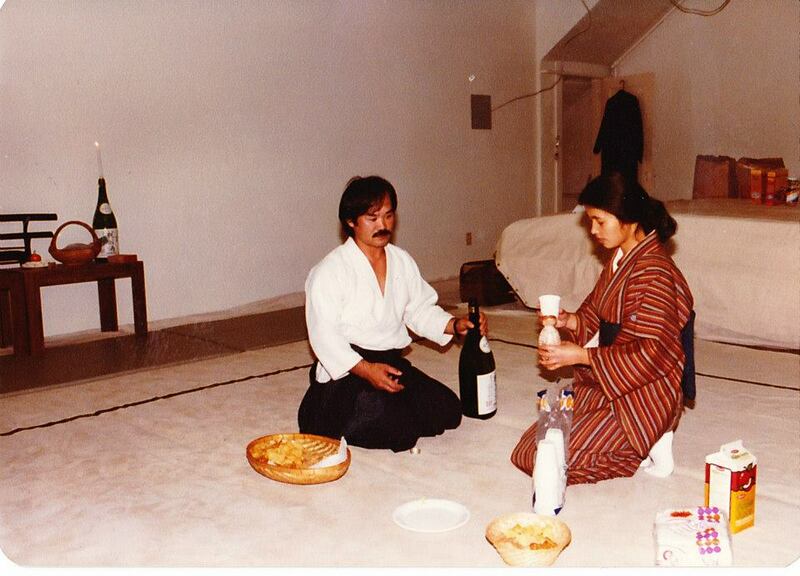 In 2008, after 50 years in Aikido, Chiba Sensei retired from active teaching. 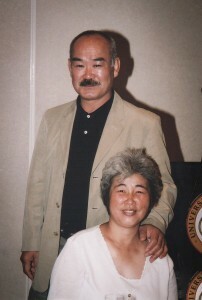 Chiba Sensei and his wife, Mitsuko Chiba. grandchildren James Yamato, Titus Taisuke, Ryusuke, Shou, Kai and Zen, and his brother, Nobuyoshi Chiba of Japan. He will be greatly missed by his family and thousands of students and admirers across the world. A celebration of Sensei’s life will be held at Birankai North America 2015 Summer Camp, July 16-21 in Tacoma, Wash. In lieu of flowers, we ask that you consider a gift for the family. Please click here for more information on donations. On behalf of Birankai International, with deep sorrow, Birankai North America announces the death today, June 5th, 2015, of our founder and teacher T. K. Chiba Shihan. Martial artists here and around the world salute his life as they mourn his passing. During more than 50 years of training and teaching, Sensei inspired, forged and changed the lives of generations of students. United in gratitude for the great gift he gave us, we offer our condolences to his family.